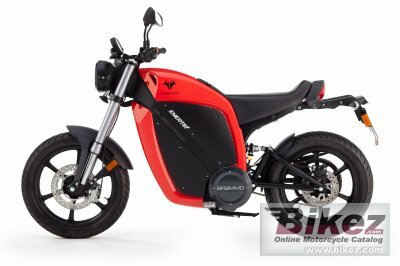 2015 Brammo Enertia Plus. Picture credits - Brammo. Submit more pictures. Comments: Brammo Power� batteries. Capacity: 6.0 kWh. Voltage: 88.8 V (nominal). Recharge time approximately 8 hours. Regenerative braking. Battery Life: 500 recharges.850 Watt on-board battery charger, which can charge using any standard 110-120 Volt / 15A electrical outlet (standard US household) or equivalent European household outlet. Under deceleration, energy is returned to the battery system to both extend driving range and provide familiar rider feedback. Ask questions Join the 15 Brammo Enertia Plus discussion group or the general Brammo discussion group. Bikez.com has a discussion group for every motorcycle. Here you may find answers to common questions about the model. If you do not find what you are looking for, you can ask questions. Try out the 2015 Brammo Enertia Plus discussion forum. You can sign up for e-mail notifications when other users answer you. If you have information about any technical issue related to this motorcycle, please leave a comment for other riders.